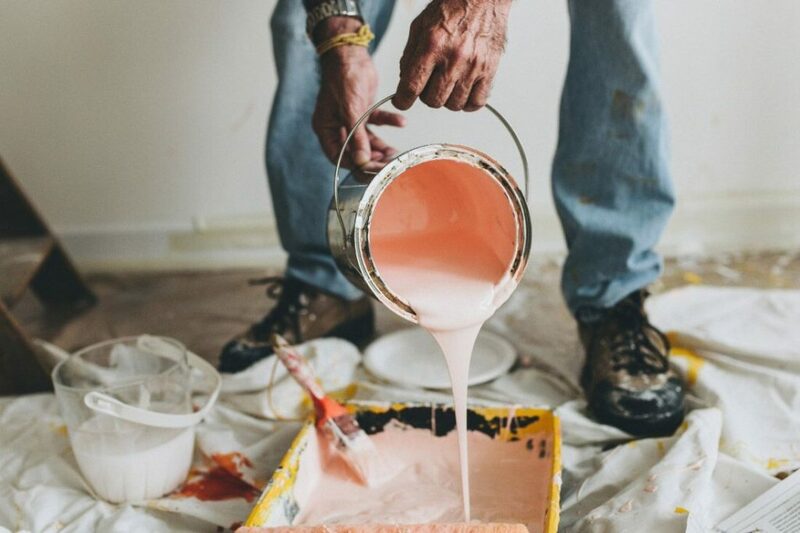 Not ready to upgrade your home, but keen to give it a bit of a makeover? Or maybe you’re thinking of upgrading later this year and keen to do a few things now that could help to make your house more saleable come Spring time. Here are five easy ways to improve the look and feel of your home, without increasing your loan repayments. It’s time to get those hands dirty. One of the fastest ways to instantly increase the ‘wow’ factor of your property is to give it a good manicure. Trim any overgrown bushes, mow the yard, apply grass seeds where there are bare dirt patches, plant some new flowers and plants in the garden bed, and ensure the fence is looking top notch. If you don’t have the tools for the job, or you’re simply more of an indoors person, consider hiring a landscaper to help out. One of the best ways to make the interior of your house feel fresher and more lively is to decorate each room with a bit of greenery. Pot plants are fantastic because they’re low maintenance – unless you go for a Fiddle leaf! Not only can they make your place look great, but plants have been proven to have health benefits too. Plus, all the time you spend nurturing your indoor plants won’t be wasted – because you can always take your plants with you when it does come time to sell your property. The same goes for artwork. A good piece of art can dramatically change the feel of a room and give it some character. It’s not like you have to fork out thousands for an original Rembrandt either – just find your favourite local artist and pick something that appeals to you. Nothing looks as dated as stained carpet, scuffed floorboards, or old and chipped tiles. New flooring can have a dramatic effect on the overall feeling of a home. You don’t need to completely replace flooring all throughout either. Just pick the areas that show the most wear and tear, or the areas that will have the biggest impact – like the living area. It’s often a small area, but one that quickly shows the age of a home. Bathrooms attract about as much scrutiny from a prospective buyer as any other room in the house. The last thing you want is for some grime, leakage or mould turning off someone who’s happy with every other aspect of your property. If your bathrooms are moderately new and not too dated, maybe a professional clean is all you need to get the room sparkling. Alternatively, a simple paint job might be required to lighten and brighten the area. Updating sinks, cabinets and tap wear can also help to update your bathroom, without having to do a full renovation. Not far behind the bathroom in terms of scrutiny is the kitchen. But once again, there’s no need to rip out the whole kitchen. Look at ways you can revitalise it on the cheap: you could replace old cupboards and pantry doors (and/or handles), upgrade the bench tops or tap wear. You’re looking for ways to make your kitchen seem lighter and brighter and make it more appealing to potential buyers. Making a few strategic improvements can make a massive difference to the overall impression a potential buyer gets when they walk through into your home for the first time. If you make the changes whilst you’re still living there in preparedness for an eventual sale, it means you get to enjoy the improvements too.